The Venture Capital (VC) community is well aware of the value of a great domain name. In a recent essay, Paul Graham, venture capitalist and co-founder of the Y Combinator seed capital firm said, "The problem with not having the .com of your name is that it signals weakness." It's no wonder that 100 percent of the top 20 Y Combinator companies by valuation have the .com of their name. Recent data shows that .com is the most popular domain extension for funded startups. That's because its global recognition and unmatched security, stability and reliability lends instant credibility to brands associated with a .com domain name. Why is .com preferred by startups? "At the heart of the question is the level of familiarity and comfort level that people have with the .com domain extension," said Mike Mann, CEO and founder of SEO.com and one of the world's best known domain investors. Mann and many other domain and SEO experts agree that a long .com domain name is better, more memorable and less confusing to consumers than a short domain name on a lesser-known domain extension. Moz Co-Founder Rand Fishkin recently wrote on the popular SEO blog, "If you want to build up a very brandable domain that can do well, you want that .com." 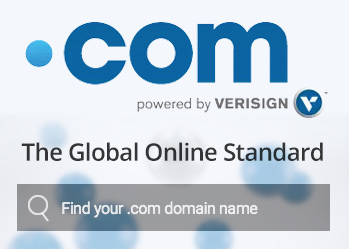 And even after decades of continuous growth, there are still millions of .com domain names available. See for yourself here. Article from Cara Hayes, Verisign director of digital marketing, previously published in WIRED. Local Time: Saturday, April 20, 2019 12:12 AM PDT – Page Load: 0.3130 Sec.